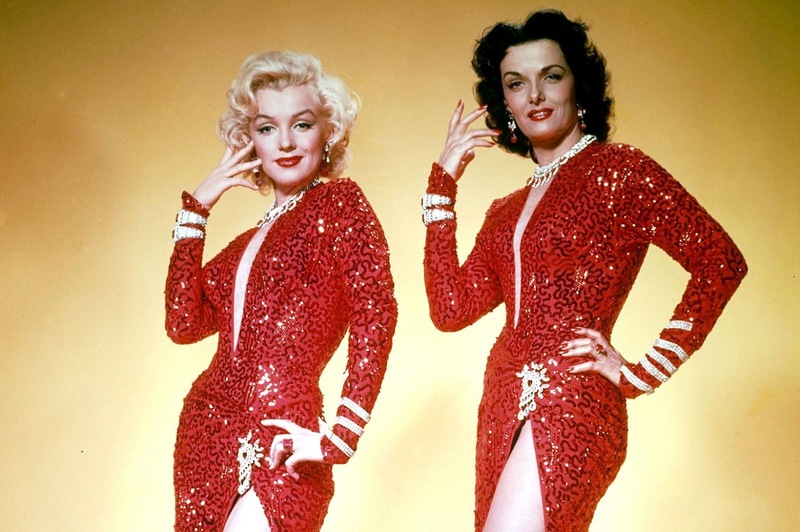 Marilyn Monroe gets the outstanding dresses, Jane Russell gets the sharp lines, and together they create a memorable musical comedy experience. 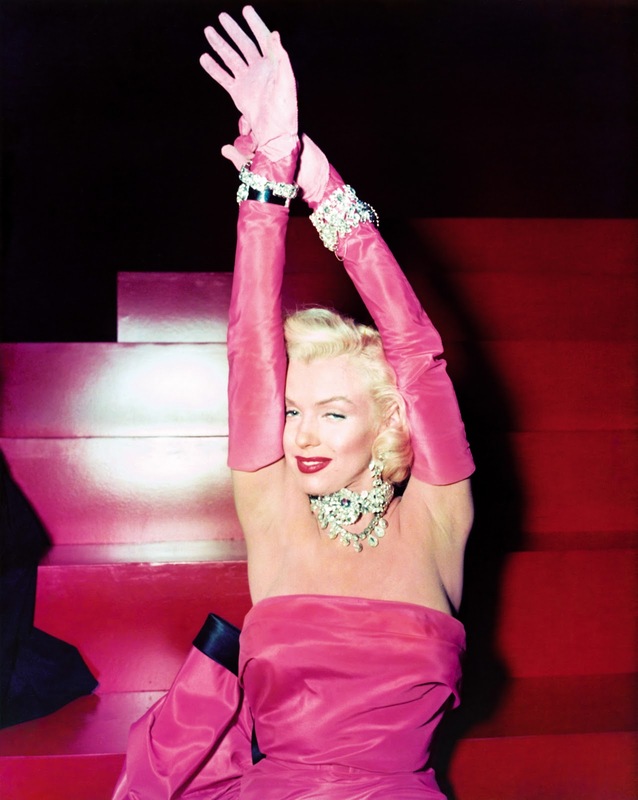 Gentleman Prefer Blondes may have the shallowest of concepts to play with, but this is a movie all about the glitz and glamour, never mind the intellect. Lorelei: Excuse me, but what is the way to Europe, France? Dorothy: Honey, France is IN Europe. Lorelei: Well who said it wasn't? Dorothy: Well... you wouldn't say you wanted to go to North America, Mexico. Lorelei: If that's where I wanted to go, I would. Lorelei Lee (Monroe) and Dorothy Shaw (Russell) are glamorous showgirls and best friends, but with different tastes in men. Lorelei is singularly focused on wealth, equates money with happiness and wants to snag the richest man possible. She is engaged to Gus Esmond (Tommy Noonan), the somewhat spineless son of wealthy industrialist Esmond Sr. (Taylor Holmes). Dorothy is happy to have fun with men but believes in true love and will marry the right man for the right reasons regardless of the size of his wallet. Lorelei and Gus arrange to meet in Paris to get married, triggering a seaborne adventure with Lorelei and Dorothy crossing the Atlantic on a swanky boat filled with potential for romantic trouble. Dorothy: Honey, did it ever occur to you that some people just don't care about money? Lorelei: Please, we're talking serious here. An American Olympic team is on-board, immediately distracting Dorothy, but Lorelei's attention turns to the very old - and very wealthy - and very married - diamond tycoon Sir Francis "Piggy" Beekman (Charles Coburn). Lady Beekman (Norma Varden) owns a diamond-encrusted tiara that Lorelei starts to crave, forgetting all about Gus. Unfortunately for Lorelei, Esmond Sr. believes that she is an opportunistic gold-digger unworthy of his son, and has hired private detective Ernie Malone (Elliott Reid) to spy on her for the duration of the journey. By the time the girls arrive in Paris, Lorelei's relationship with Gus is in trouble, Dorothy is falling in love with Ernie but has uncovered him to be an informer, and one tiara is missing. Lorelei: I want to marry him for YOUR money. Featuring several stand-out musical numbers including a Little Girl From Little Rock, Anyone Here For Love and Diamonds Are A Girl's Best Friend, Gentlemen Prefer Blondes never takes itself seriously. Director Howard Hawks allows Monroe and Russell to look gorgeous and almost openly wink at the predicaments surrounding them, as the two ladies laugh at their lot, scheme to get their men, and navigate their way across the ocean and through a minefield of men with mixed intentions. Lorelei: Don't you know that a man being rich is like a girl being pretty? You wouldn't marry a girl just because she's pretty, but my goodness, doesn't it help? Esmond Sr.: Say, they told me you were stupid! You certainly don't seem stupid to me! Lorelei: I can be smart when it's important, but most men don't like it. Monroe, in one of the three star-making movies she made in 1953, wriggles, shakes, pouts and seduces her way to marriage, playing a dumb blonde who is only as dumb as she needs to be. The camera has no choice except to focus and stare at Monroe no matter what else is happening on the screen, and her slinky rendition of Diamonds Are A Girl's Best Friend in that luminous pink dress against a background of red walls and a wall of male suitors is one of Hollywood's legendary moments. Dorothy: If we can't empty his pockets between us, then we're not worthy of the name Woman. Jane Russell is the sassy, more grounded yet also more idealistic and liberated brunette is the perfect partner for Monroe's antics. And while Monroe has the moves, Russell nails the deadpan delivery that allows Monroe's suspiciously smart dumb lines to land with the required bang. Gentleman Prefer Blondes is an unashamed celebration of the mate hunting game from the perspective of women who know what they want, understand how to get it, and are determined to have loads of fun during the hunt.